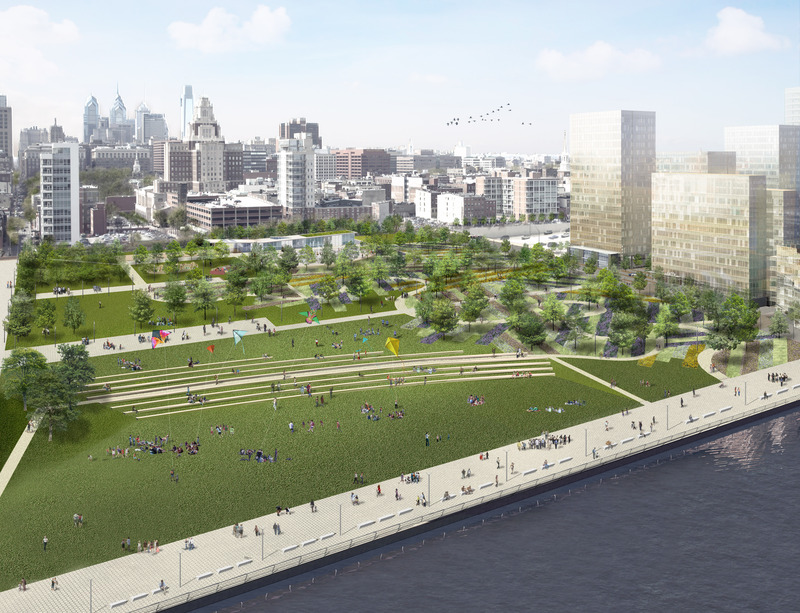 JMT evaluated the feasibility of a proposed waterfront revitalization in Philadelphia. 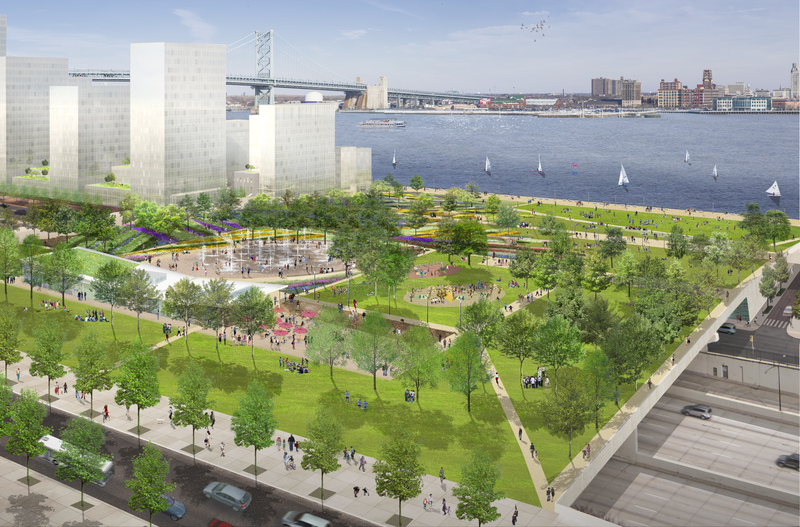 Penn’s Landing is 45 acres of prime urban waterfront, marking the eastern edge of Center City Philadelphia. Despite dramatic views of the Delaware River and Ben Franklin Bridge, the location has failed to live up to its potential, and remains isolated, cut off from the city by I-95. 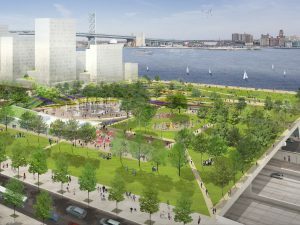 The Delaware River Waterfront Corporation (DRWC), a 501(c)(3) organization, was established in 2009 to coordinate the redevelopment of the 5.7 miles of the Central Delaware Waterfront in Philadelphia, including Penn’s Landing. 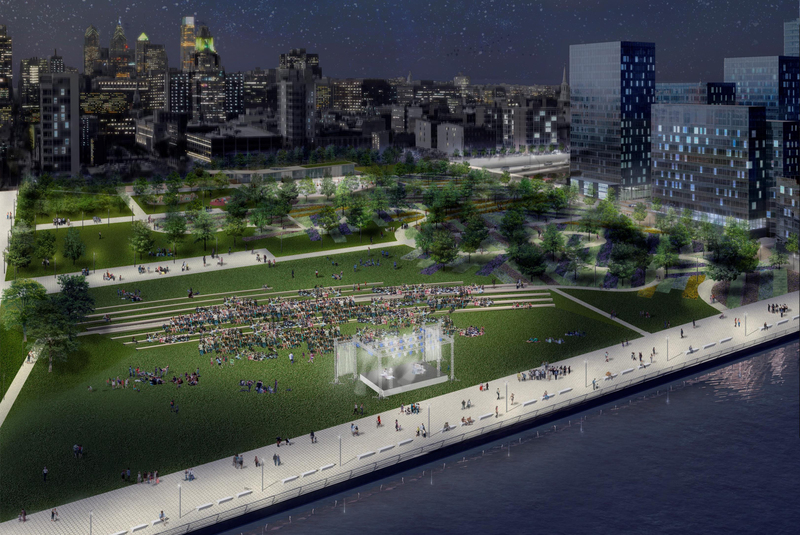 Shortly thereafter, DRWC embarked on a master planning effort. 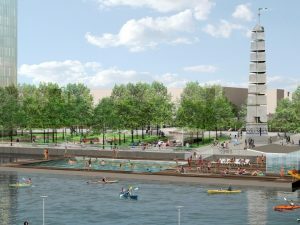 The master plan was released in 2011 and adopted by the city in 2012. The master plan envisions an integrated network of parks, trails, street improvements, and public spaces along the Delaware River that, when considered together, permit greater public access to the river and create incentives for private development. A recommendation of the plan is to create a public park every one-half mile along the waterfront and to have each park connect to the neighborhoods of the city via an improved street or public passageway. 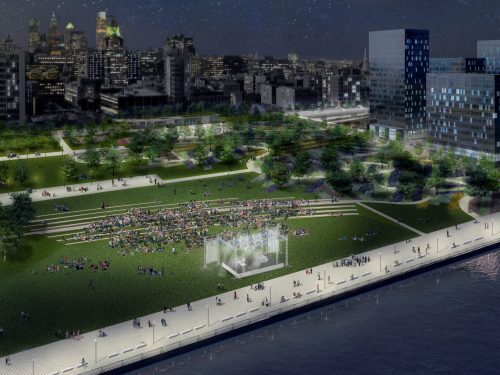 Penn’s Landing is identified as one of three “priority sites” where public investment should be targeted. 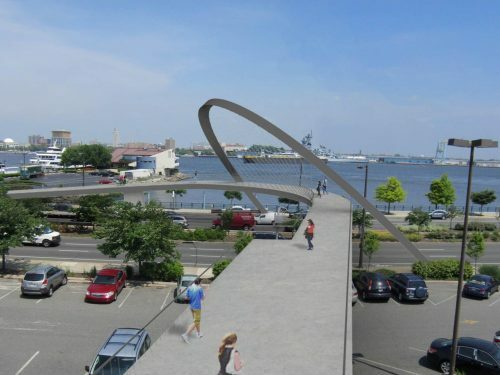 The vision for this area seeks to overcome the formidable barrier presented by I-95 and Columbus Boulevard in order to reconnect Old City, a vibrant urban neighborhood including historic sites, to the river’s edge. 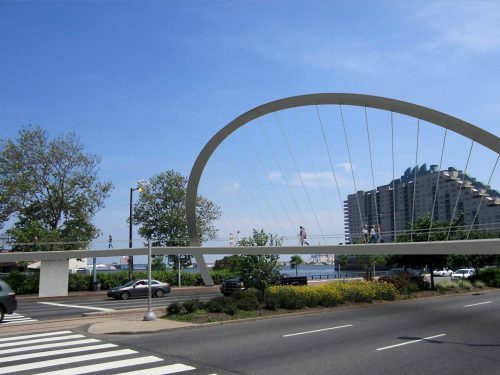 This plan embraces the importance of transportation infrastructure and acknowledges that eliminating or buying I-95, which some parties had called for, is neither practical nor cost-effective. 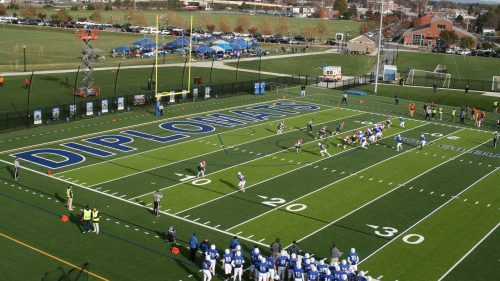 With this approach, it remained necessary to evaluate and confirm if and how the master plan vision could be realized. DRWC selected Hargreaves Associates of New York and JMT, as sub-consultant, to evaluate the many technical challenges of the site for engineering feasibility and to develop investment strategies for public spaces and related infrastructure. 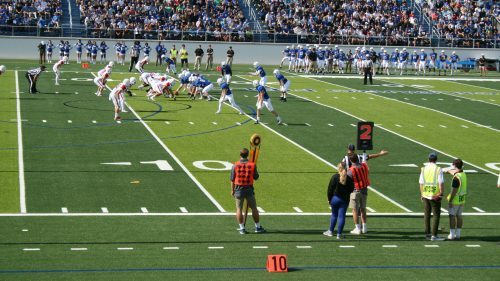 Since 2012, JMT has served as DRWC’s on-call engineering and construction management consultant for transportation and infrastructure needs. 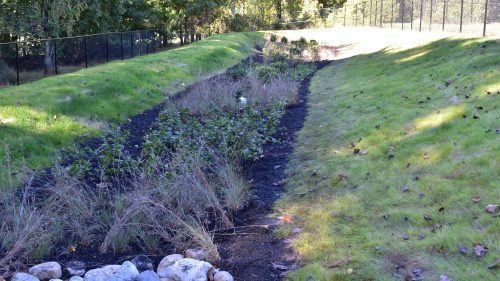 JMT’s role on the project team included: multi-modal transportation planning; traffic engineering and analysis; civil engineering; agency coordination; land surveying; and structural and geotechnical engineering. Penn’s Landing Park – A proposed 12-acre park between Chestnut and Walnut Streets that will reconnect adjacent neighborhoods to the river’s edge while spanning I-95, Columbus Boulevard, and negotiating significant changes in grade. 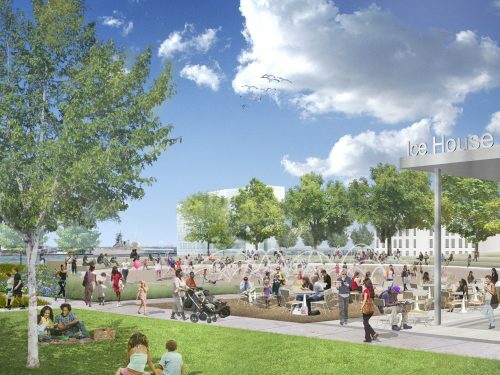 Market Street Development Site – Six acres of parking and roadway infrastructure will be residential and mixed-use development integrated with improved transportation facilities. 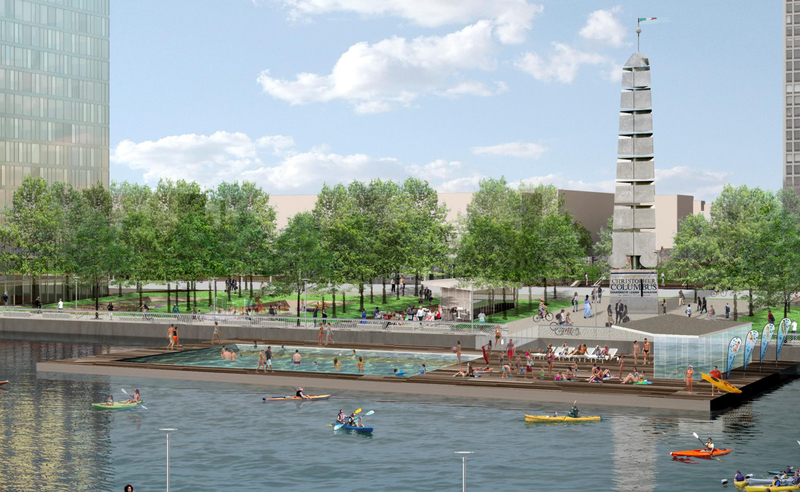 Marina Basin – A four-acre site currently containing a public marina, several permanent boats, a hotel, and museum. The plan calls for mid-rise housing with ground floor retail, dining, and entertainment built with the marina basin as a central feature. 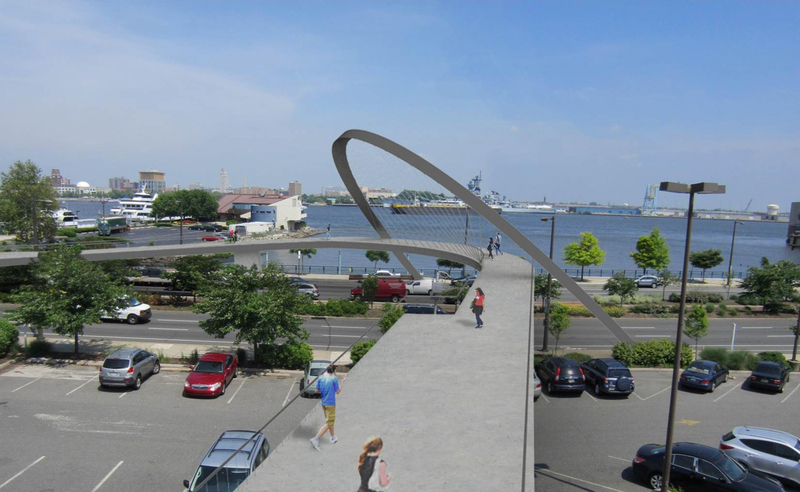 South Street Pedestrian Bridge – At the southern edge of the study area, an existing pedestrian structure extends the trendy South Street corridor across I-95, but currently terminates in a parking lot on the west side of Columbus Boulevard, limiting connectivity with the waterfront. The bridge is planned to be extended and used as a gateway structure. The project team, including JMT, successfully completed the study meeting the expectations of the client. 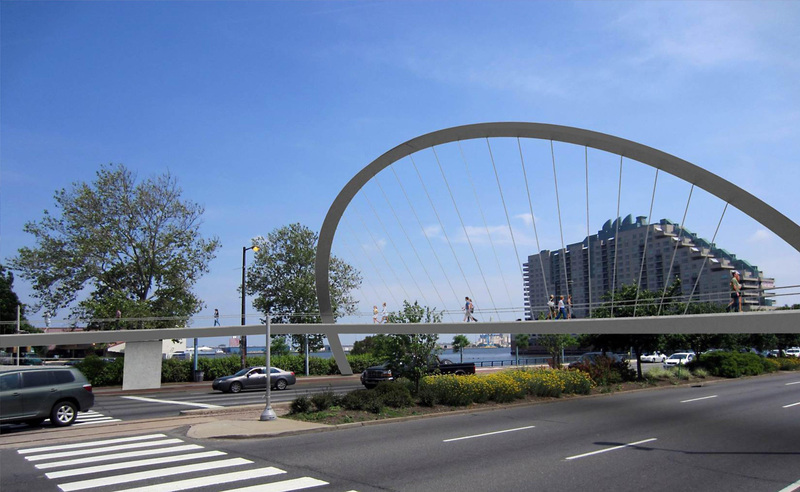 The DRWC has expressed its appreciation for the final product, and the City is actively pursuing funding to commence the next phase of work – preliminary design.